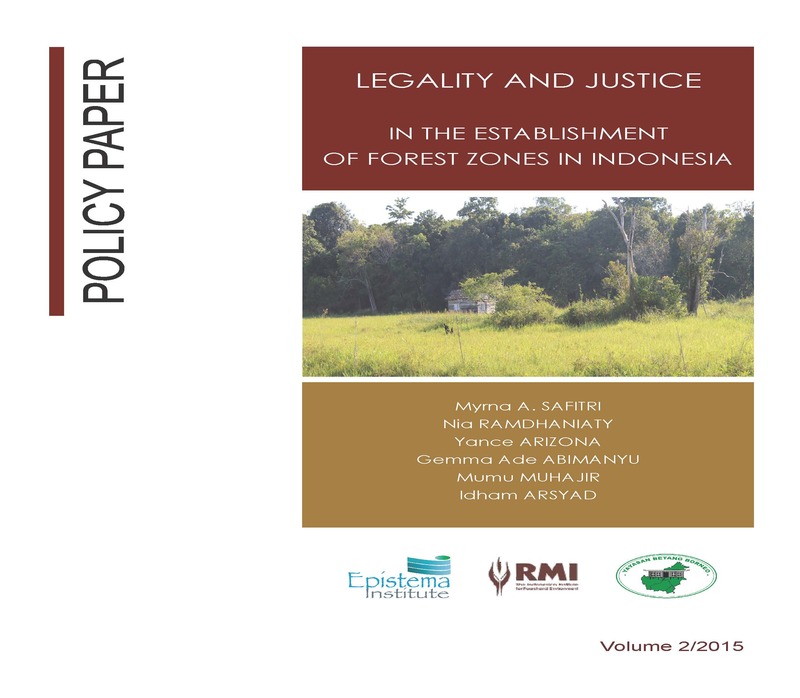 Find research, publications, and analyses from RRI Fellows and other experts on important themes relating to tenure security, community forestry, and resource rights below. 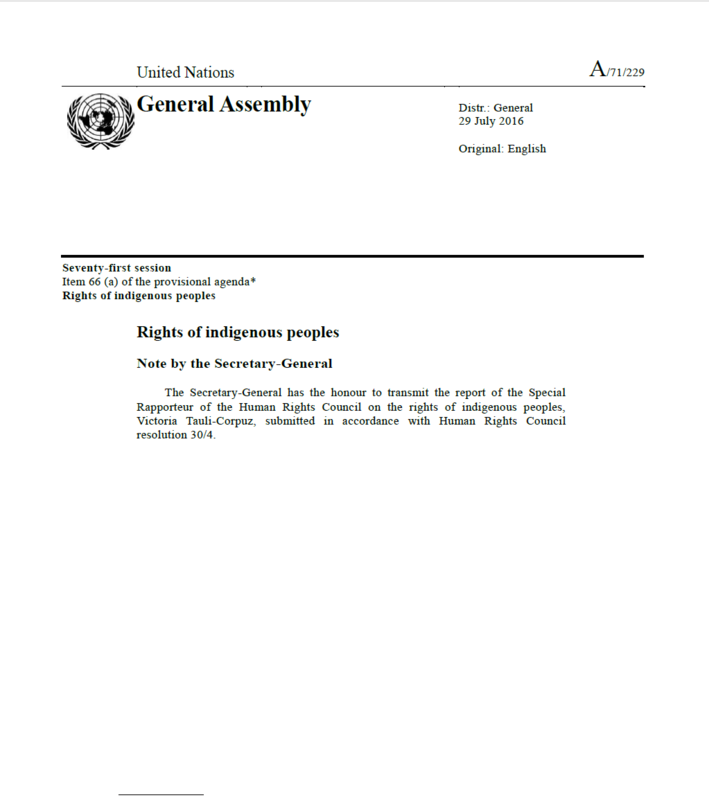 Explore these resources, available in PDF form, below. 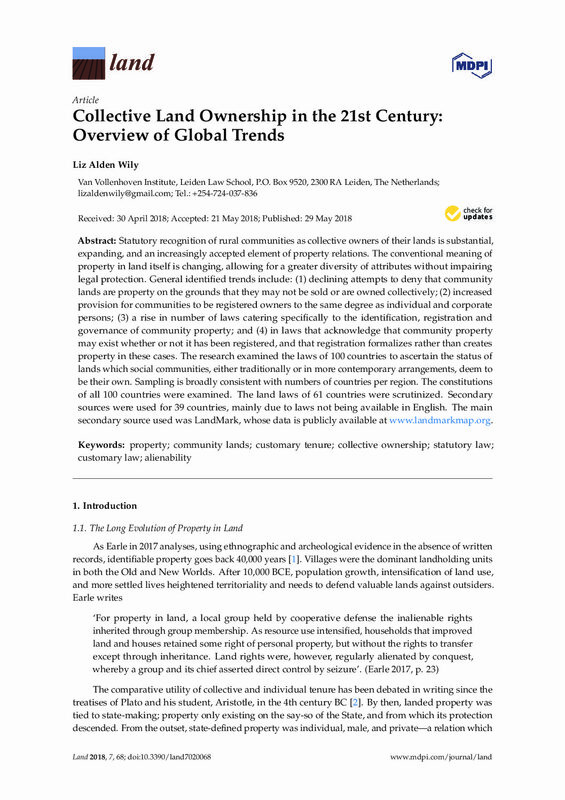 The research examined the laws of 100 countries to ascertain the status of lands which social communities, either traditionally or in more contemporary arrangements, deem to be their own. 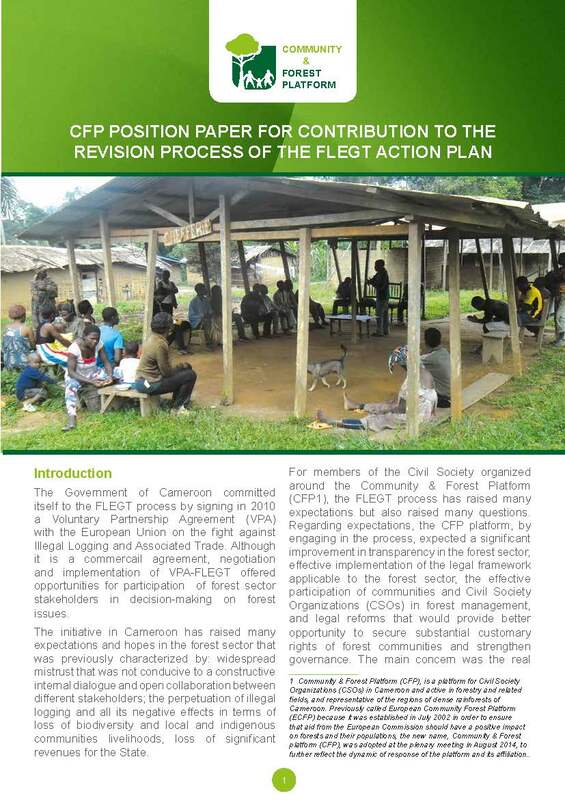 The following reports were produced in 2016-17 as part of the Community Forest Rights Learning & Advocacy Process, with the support of the Rights and Resources Initiative and Oxfam India. 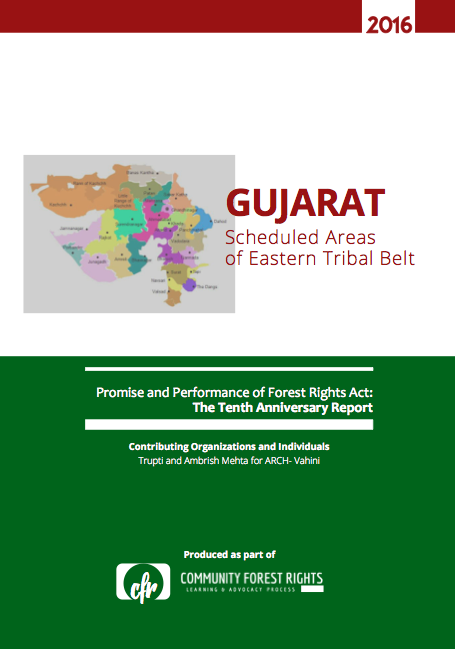 This study gives an approximate estimate of the potential forest areas that can be covered under the FRA in Gujarat. 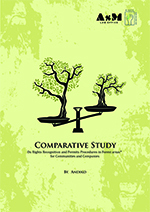 The idea is to compare and assess the actual status of the implementation with regards to the potential. 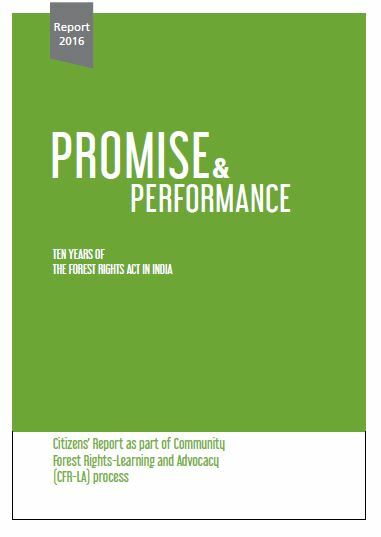 This study also provides an overview of the implementation of the Act, together with highlights of both positive and negative aspects of the process and outcomes. 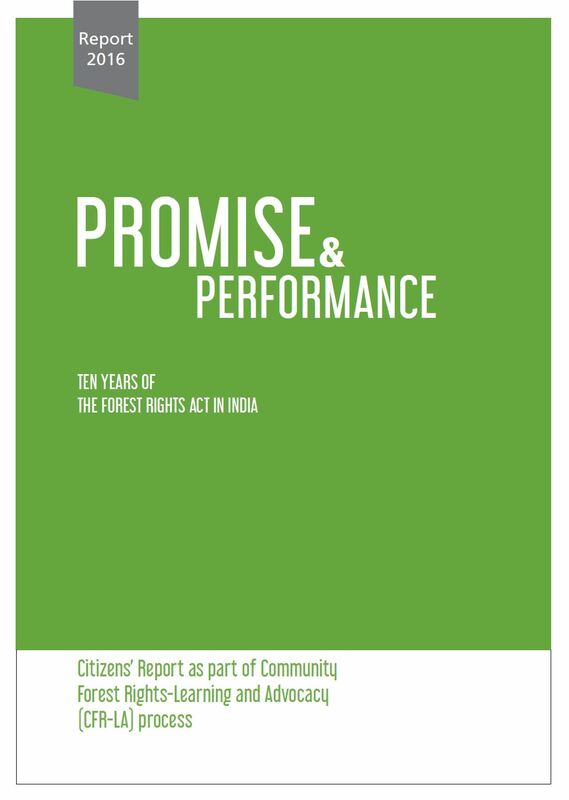 This study makes a preliminary assessment of the potential forest area over which rights can be recognized in Telangana under the FRA and compares it with the actual performance. 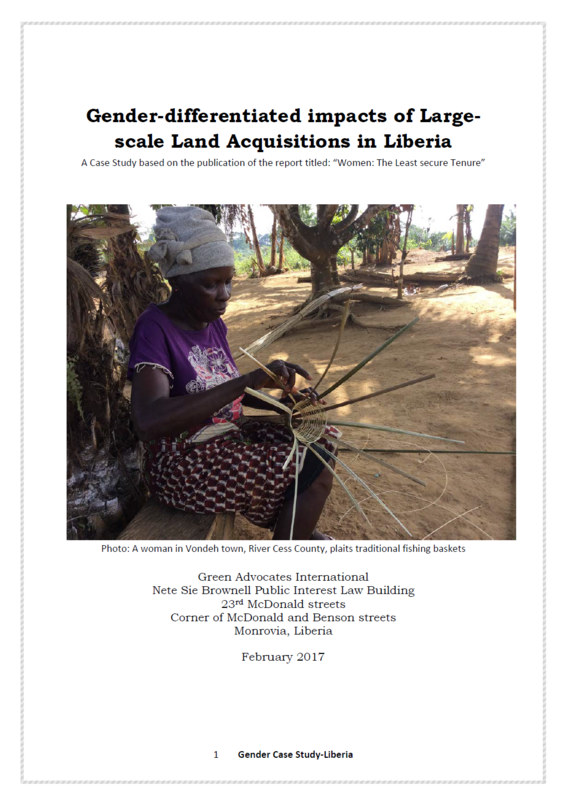 The estimate provided offers a baseline for informing implementation, planning, and setting targets for rights recognition under the FRA. 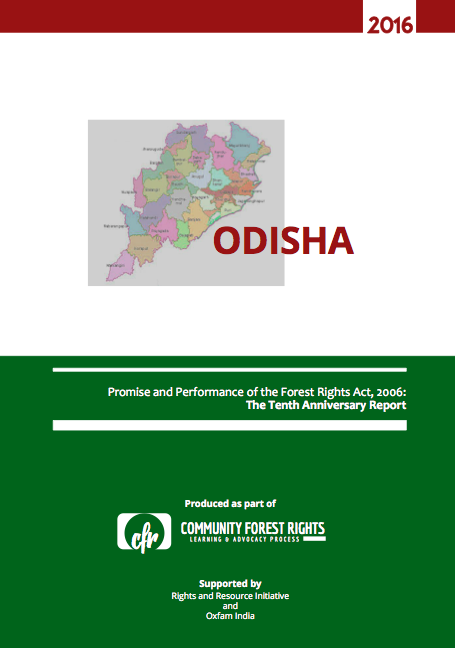 This study makes a preliminary assessment of the potential forest area over which rights can be recognised in Odisha under the FRA. 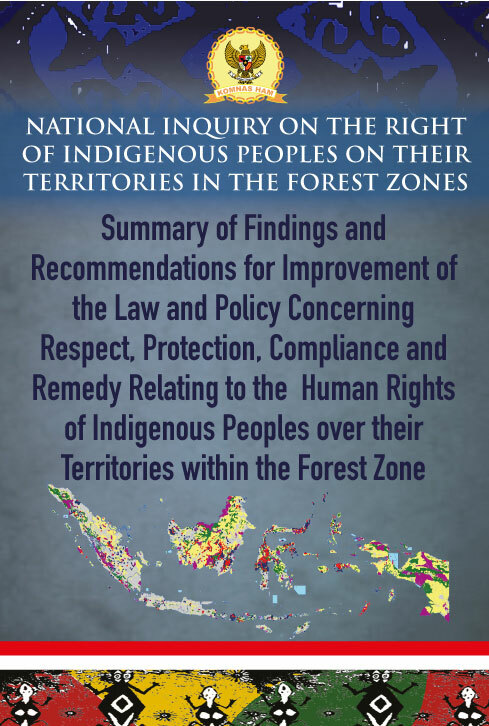 The estimate offers a baseline for informing implementation, planning, and setting targets for rights recognition under the FRA. 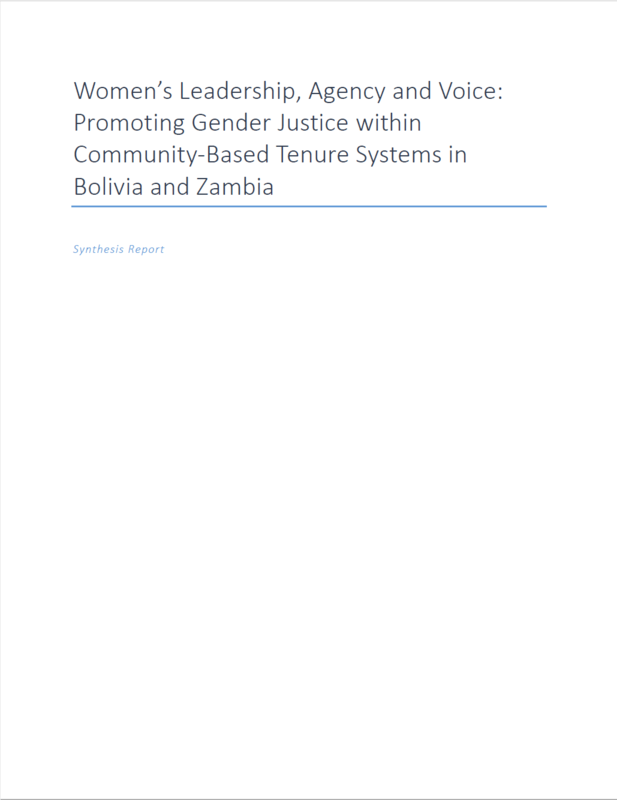 This report synthesizes research findings on gender dynamics and the implications for gender justice in community-based tenure systems in Zambia and Bolivia. 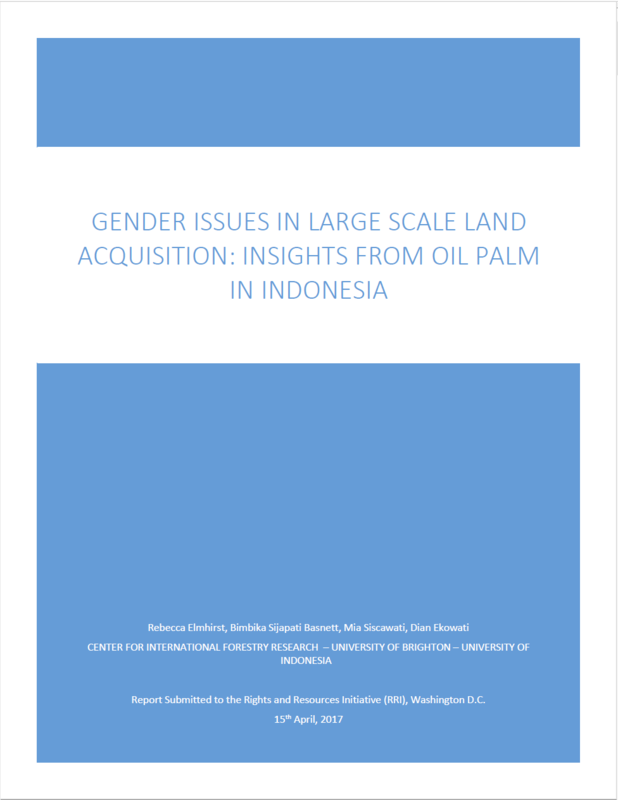 This report considers the implications of oil palm expansion on women’s access to resources (financial, social and natural), division of labor within the plantations, and in the distribution of care responsibilities. 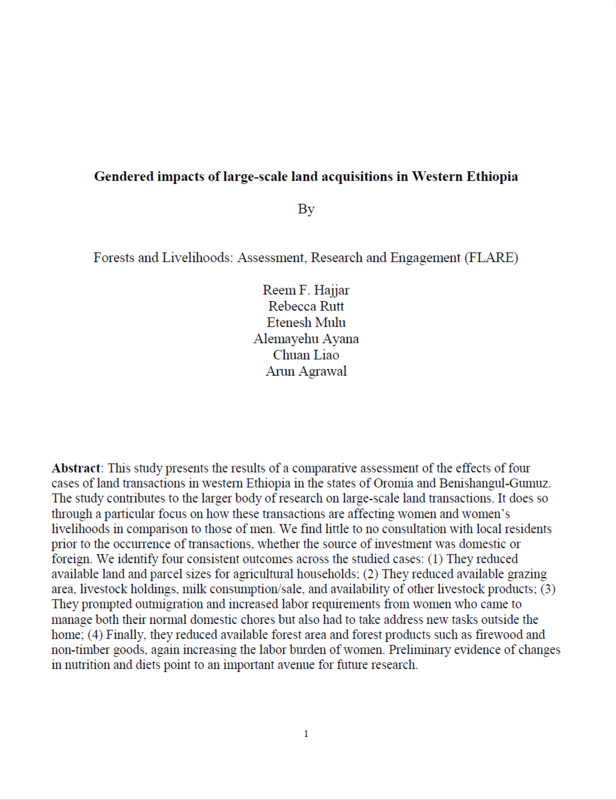 This study presents the results of a comparative assessment of the effects of four cases of land transactions in western Ethiopia in the states of Oromia and Benishangul-Gumuz. 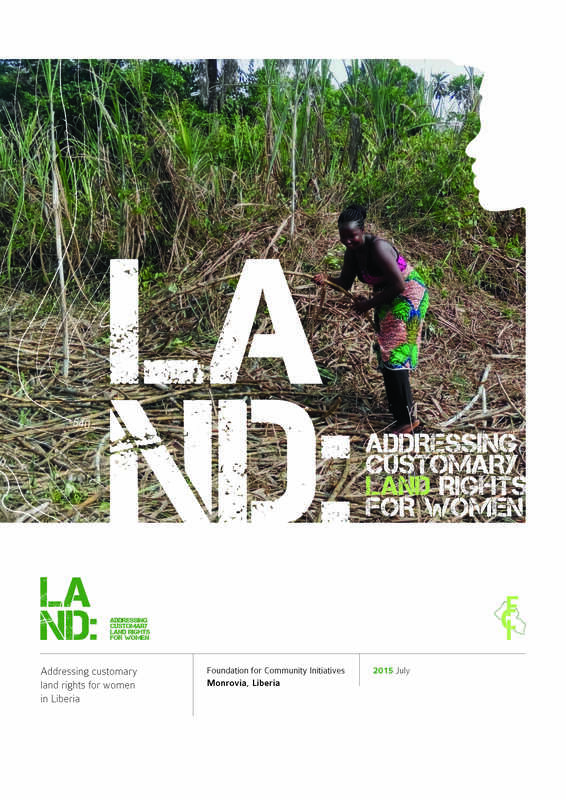 A study found that the impact of large scale land acquisitions has caused women to lose their rights to use, access and own land for housing or farming, forest and forest products as well as other natural resources in their communities. 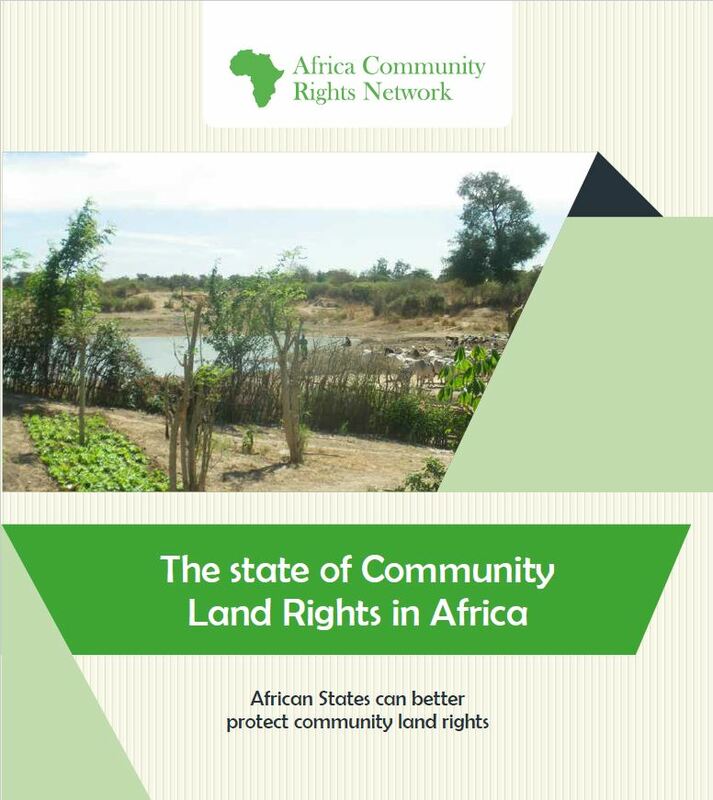 Disputes over land and resource rights create operational and reputational risks through delays, rising costs, and curtailed access to finance and markets. 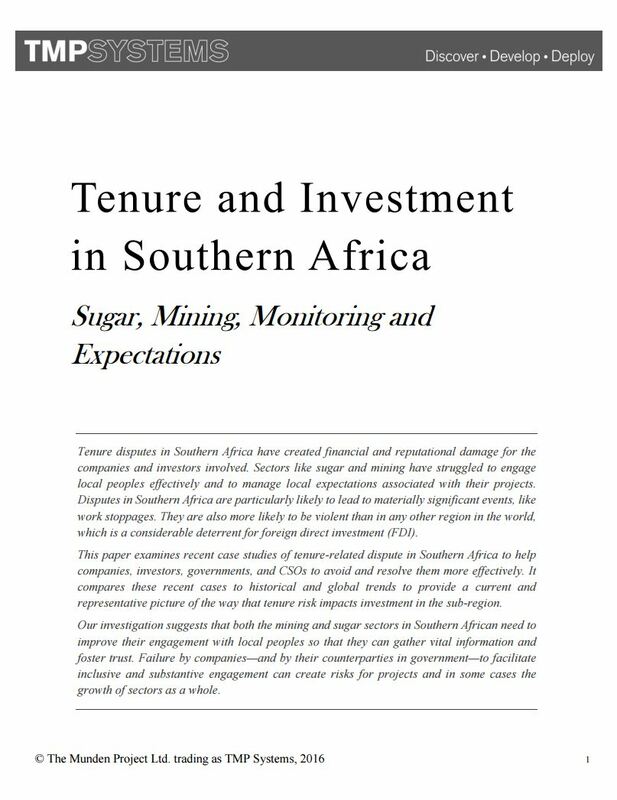 Tenure disputes in Southern Africa have created financial and reputational damage for the companies and investors involved. 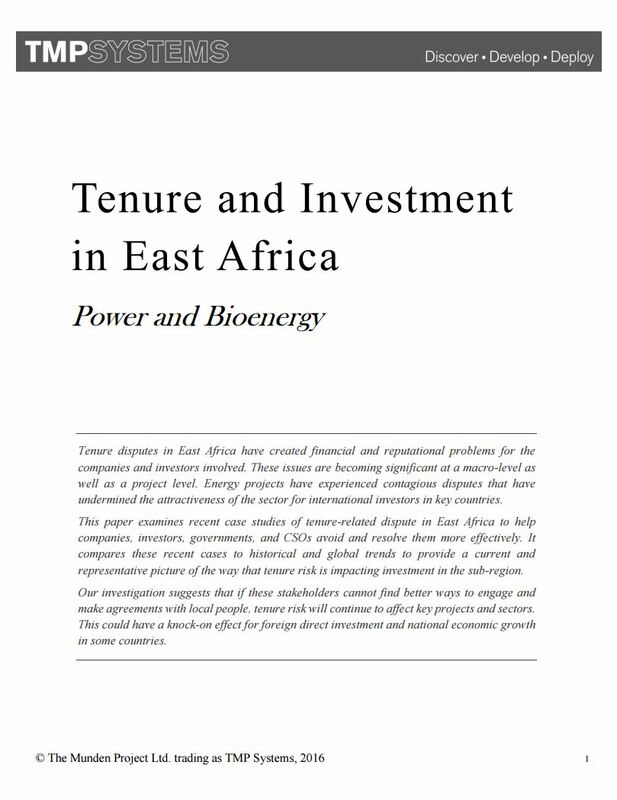 This paper examines recent case studies of tenure-related dispute in East Africa to help companies, investors, governments, and CSOs avoid and resolve them more effectively. 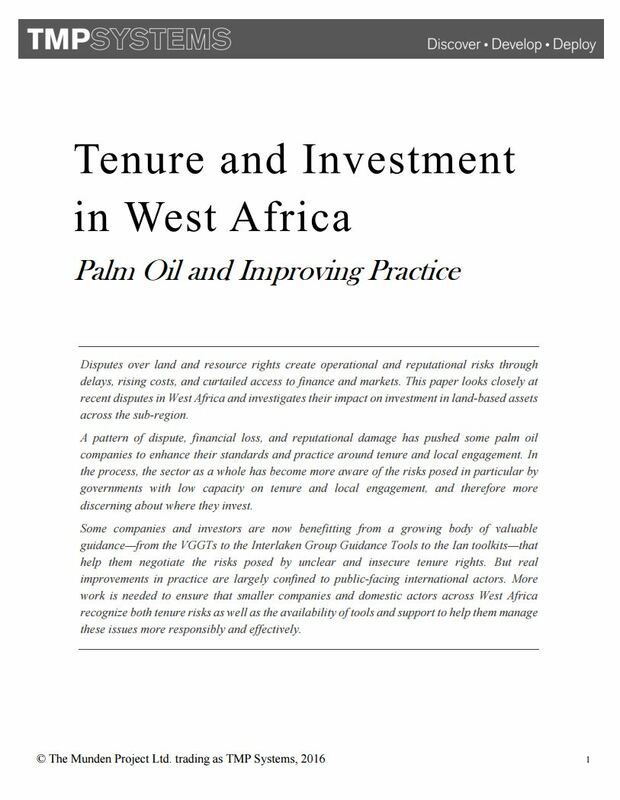 The objective of this study is to understand the differences in practice as experienced by the business world compared with the experiences of communities, namely farmer organizations, villagers and indigenous peoples, in securing their rights and maintaining access to lands and forests. 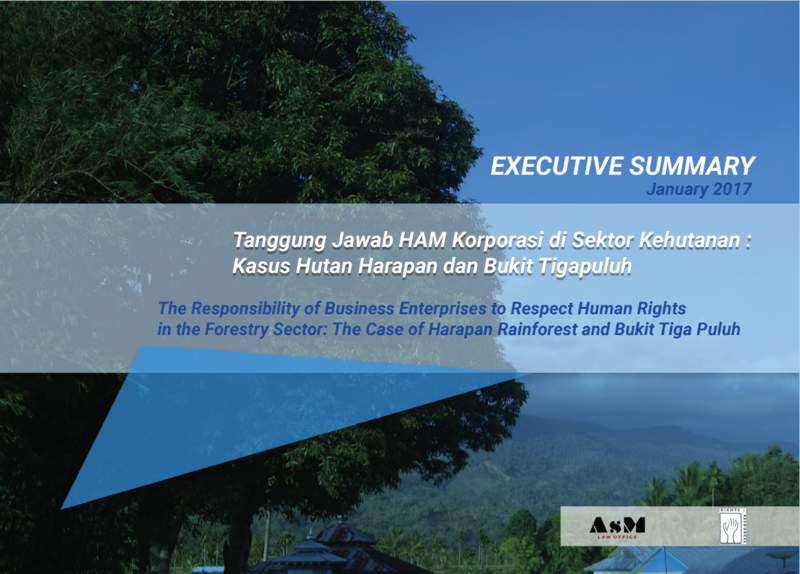 Recent developments show marked improvement of economic-political position of transnational corporations, which correlates positively with their operations and human rights impacts. 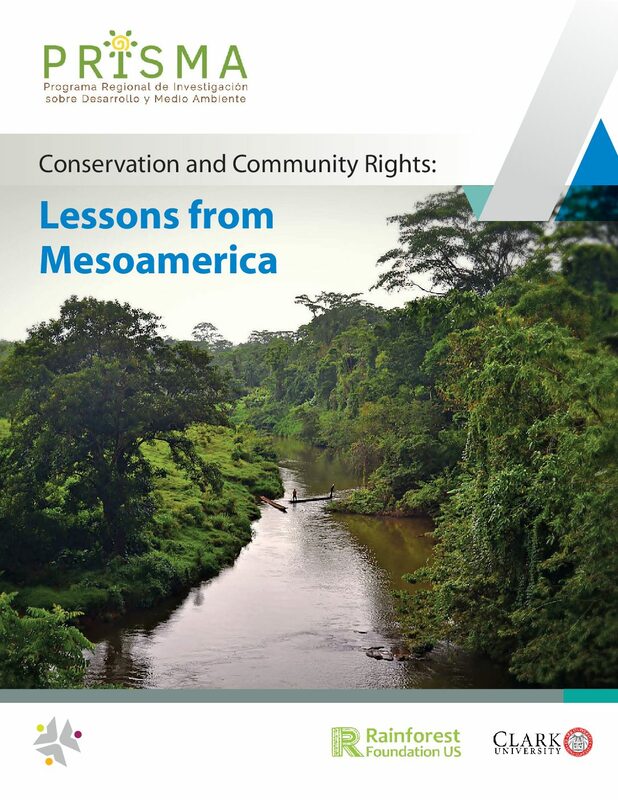 A summary of the conclusions from case studies on concrete experiences in rights-based conservation in Mesoamerica. 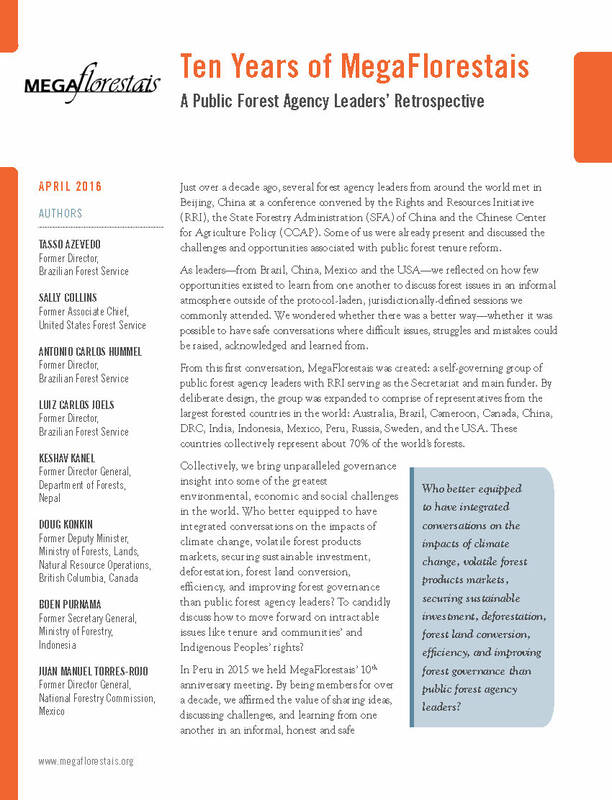 This report highlights FRA’s potential in transforming forest governance by empowering local communities and the gram sabha to protect and conserve forests; ensuring livelihood security and poverty alleviation; securing gender justice; meeting SDG, especially the goals of eliminating poverty and achieving ecological sustainability; and dealing with climate change.